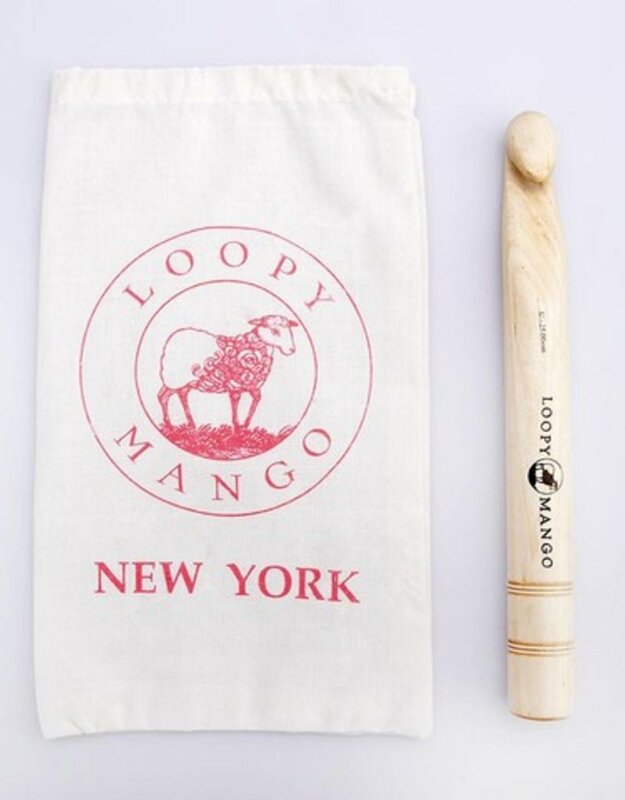 This Giant Crochet Hook is perfect for working with Big Loop yarn or any other Extra Bulky yarn, leather, rope or fabric. 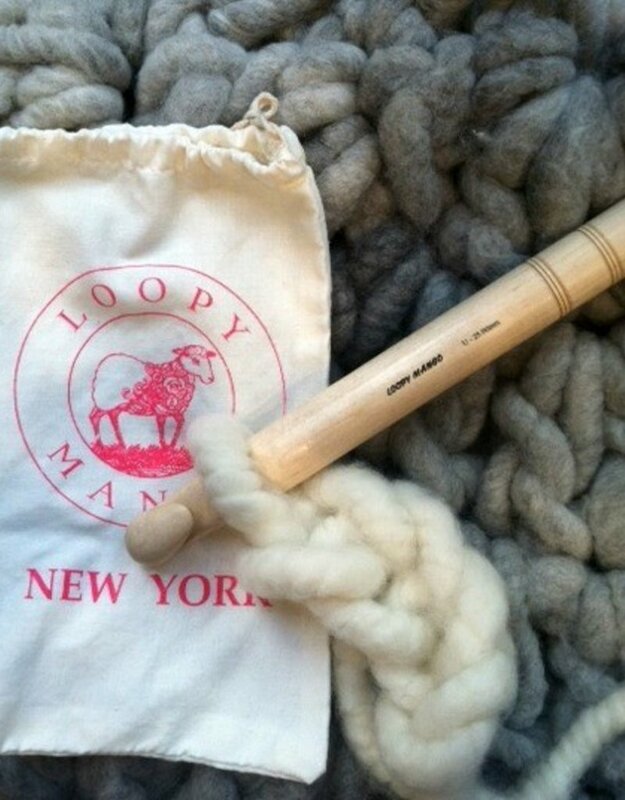 It's very light and easy to use. 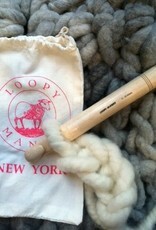 Also great with any textured (for example thick-n-thin) yarns. Size U, 25mm in diameter, 9'' (23 cm) long, birch wood. 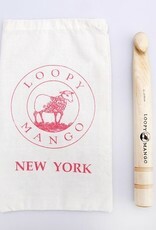 Comes with cotton Loopy Mango cotton pouch for storage.